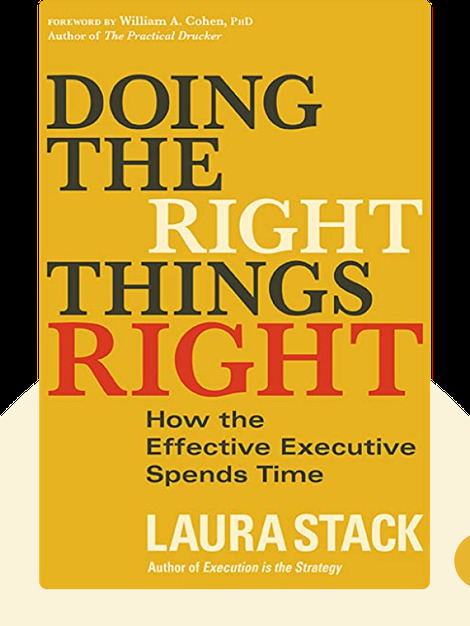 Doing the Right Things Right (2015) cuts to the core of successful leadership. It teaches you how to manage a team and how to work with others to achieve profitable and productive results. Get ready to feel confident and lead your team to success. 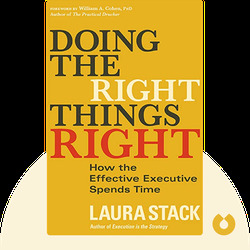 For decades, Laura Stack has helped organizations get remarkable results. She is the president & CEO of Productivity Pro, Inc., a member of the CPAE Speaker Hall of Fame and a best-selling author. Her other books include Execution is the Strategy and The Exhaustion Cure.